Television And Productivity – Do They Pair Well? 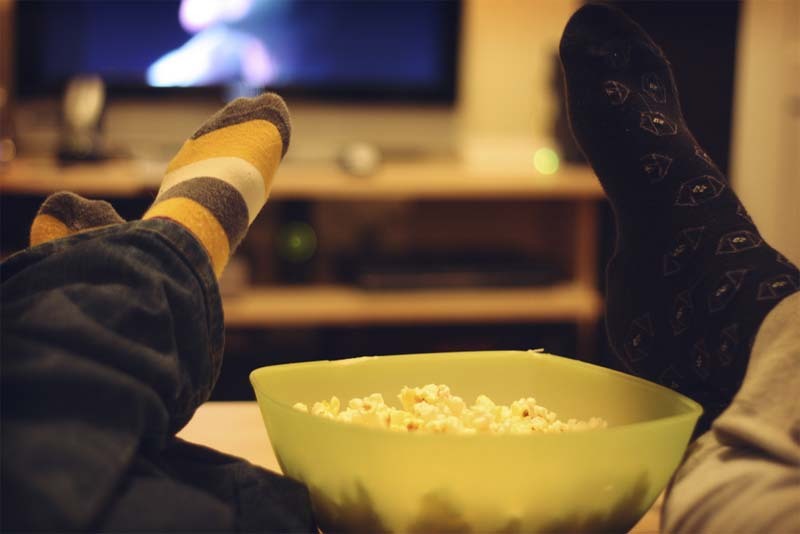 Now that we have the catchy SEO title out the way, lets be honest with ourselves… How much time do we actually spend watching Television a week? 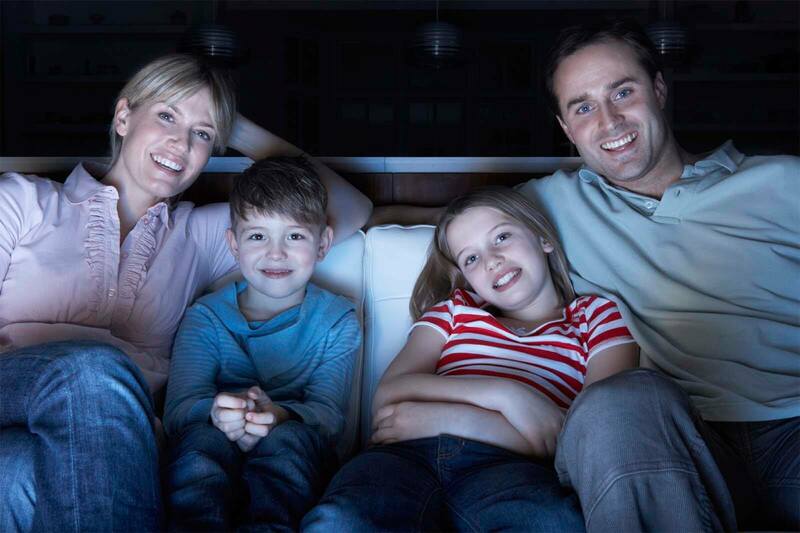 I myself was stuck in this whole “Netflix and Chill” era, where we literally spend our living days attached to the big screen. The scary thing about the whole scenario is with modern technology we can view these same shows on our computers, mobile devices and much more. And so on… All box sets I had spent my weekends and evenings watching. I dread to think how many hours were spent with these in total silence eating junk food as I slouched on the sofa not having much movement or social interaction. There would be evenings you would just want to sit indoors not talk to anyone and catch up on your latest show. Naturally when the weather gets colder we all like to be anti-social and sit indoors but how many times have you prevented yourself from going out just to sit indoors and binge watch on the Television. Whilst we sit there watching TV we crave junk food, sometimes its due to boredom, other times its due to the habit but we find ourselves pigging out on chocolate, sweets and crisps. Do not even get me started on the Popcorn! Naturally we think we will have a lazy weekend and recover from a hard week of work. When this happens we put the Television on and we sit and watch. Have you ever spent a whole day watching TV being lazy to find when you get up at the end of the day you are in a daze and feeling even more tired than you were at the start of the day? Many modern households usually have at least two televisions in their house, one Television in the front room and one in their bedroom. Often you find yourself laying in bed watching a series and when it finishes you are so wide awake with an eager eye to see what happens next, we watch the next episode and next thing you know it, you only have a couple of hours before you start work in the morning. Ever thought about how many hours are wasted not moving at all other than a crawl to the kitchen for more food? That is exactly what I am talking about, how can we exercise when we are sitting on our bum all day! Our time is valuable, and we should make the most of it. Is watching television really the way to do this. We all get that feeling on a Sunday evening when we know we have work the following day and we moan that we feel we haven’t made the most of our weekend. That is the feeling I am talking about! Have you ever put on a series and thought I will just watch one, then hours later you realize that what would be the equivalent 15 weeks worth of episodes have not been completed in a single weekend? This is what we refer to as the addiction. We crave the need to find out what happens next. Does Sam get the girl? Does Chelsea ruin her job prospects? We don’t know without watching what happens next! Once I realized how more productive I could be without a television and how much healthier, I began by cancelling my Netflix account. Having the HD package meant I saved under £10 a month but still it was a saving. I began to sell my DVD’s that I never watched and got rid of the Television in my room. From then on I began reading at night as apposed to watching TV. I was beginning to learn, enrolling on online courses and spending my wasted time on more important factors of my life. I was going out more with friends for dinner, going for walks in the countryside on a Sunday. In fact I still have a very vivid memory of a horse who came to join me on one of my walks. That alone is a memory I would never have achieved from watching Television. The final step in my process was to remove the TV as a whole. I later on gave it to my parents, with the knowledge I would never look back. This isn’t something I would recommend to everyone especially if you have kids, but knowing my situation at the time it was for a good cause. TV’s in the modern age are smart Televisions, with all the fancy apps and more. They try to make them a part of your every day life. Alone I proved it wasn’t for me. Two months into my regime and can honestly say only a handful of times I have watched a music video on a Television where it was on at a friends house. I already feel great, and my time is much better spent writing content like this exact post! Lets face it, if I still owned my TV I would be watching another new series. I am not talking about going as extreme as I had with this, but at least you can take a step in the right direction. Using that Power Of Habit (more on this in another blog post soon), change that habit of coming home to watch TV and do something else with your time. Write a blog post, spend time with your partner, read a book or even go for a walk. Today is the first step towards a positive future and I ask you to join me for it! Sit down for five minutes, try and calculate how many hours of viewing time you have spent this week on the sofa and only then will you begin to realize how you could have completed many of those vital items on your weeks To Do List. 1 – Save the money – Naturally this is not a time-based aspect; however just think of your Netflix or NOWTV subscription you pay for monthly. That all costs! Imagine being able to cancel this and spend the money on something much more worthwhile. 2 – Exercise – Whether it be at a gym, at home or merely going for a walk outside, what better way to spend your time than to exercise. After a few days of this, you will truly begin to notice the benefits. 3 – Read – What better way to spend your time than to read. It keeps the brain active, and there are plenty of useful books out there. Check out our recommended books page for some starter points. 4 – Socialise – Get up, go out, meet new people, and create memories! That is what life is all about! It is much better than wasting your time watching TV. 5 – Blog Or Journal – Ever thought about sharing your views or at least expressing them? Keep your mind active with your own journal or blog. Find a topic that interests you and write about it. The list is endless as to what you can achieve with more time on your hands, and we are merely scratching on the surface of what can help boost our productivity in life. My next experiment will be the use of social media, and mobile devices so be sure to check back soon for more on the subject.